Dachau concentration camp was liberated 70 years ago today on April 29, 1945. Many Istrians were detained in Dachau towards the end of World War II, including my grandfather. Many also died there; my grandfather luckily made it home. I remember my grandmother telling me the story of how she had gone looking for my grandfather when he didn’t return home. It was the winter of 1944 and she was pregnant with my father, her second child. My grandfather had gone to the coalmine in Raša with a neighbour. On the way there, they were rounded up by German soldiers and taken away. My grandmother set out on foot with the wife of the neighbour to Raša to find out what happened to them. The women were told that their husbands had been taken to Pula. 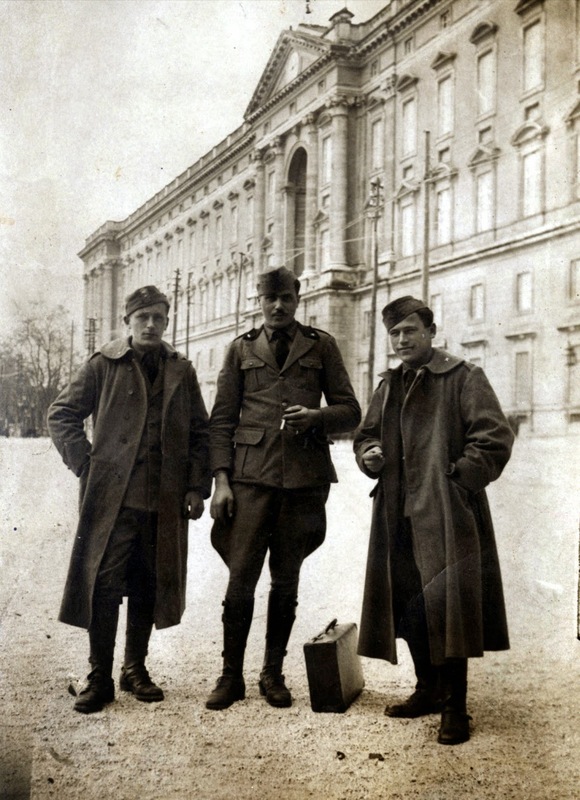 They travelled south to Pula where they got the information that the men were sent to Trieste. They went all the way to Trieste next but the trail ended there. What they didn’t know is that in Trieste the men were put on a train to Dachau. For almost two years my grandmother had no clue where my grandfather was and if he was dead or alive. It was only four months after the end of the war that he finally made it home. I remember her telling me that story too. She had mistaken him for his brother – he weighed only 36 kg (80 lbs) when the war ended. “What are you doing here? !” she had asked him, not recognizing him and mistaking him for his brother. My father was over a year old by then and was seeing his father for the first time. I found my grandfather’s name on the Dachau Concentration Camp Records which are available online. Our family name is written the Italian way, because Istria was part of Italy during that time, and all Croatian names had been ‘Italianized’. His record says he arrived in Dachau by train on January 16, 1944. I also found the name of his neighbour who made the journey with him but unfortunately he would not return home because his record says that he died on March 21, 1945, only weeks before the camp was liberated. By typing in Gallignana (the Italian name of our village), I found the names of many other people from here. Some made it home, many did not. Dachau was not a death camp like other concentration camps set up by the Nazis, but many people died there because of the harsh conditions and diseases like typhoid. Prisoners like my grandfather were used for forced labour. While he was there, he worked on a lathe making pieces for airplane engines. World War II was a dark, terrible time which left deep scars for the people of my grandparents’ generation. There are many, many terrible stories and many lives were lost. My grandfather made it home from Dachau, but many did not. I remember them today. I know how your parents would have felt the horrors of war , for today's generation would not know anything about it, especially the genocide committed by Adolf Hitler on the jews and the people he did not like; thats why every generation is made to learn from the history the horrors of war, but todays generation is facing the wrath of nature in the form of earth quakes, tornados , blizzard etc for we have failed to observe the simple laws of nature in meeting our wants. How was your days spent in India? Hi Srinivas, Thanks for your comment. I enjoyed my time in India!